This weekend in Sydney and Melbourne The Hub Productions hosts the fourth All Hell Breaks Loose Supernatural convention. Having attended the last three and had an absolute blast, I am really sad that I cannot make it over this year. I’m sure there will be plenty of stories about the Supernatural sing-a-long, the show and the six guys that The Hub is bringing over this year. 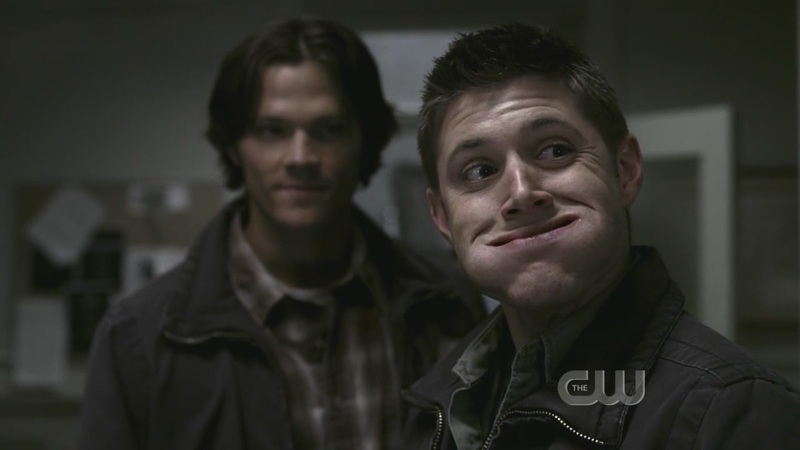 As far as I'm concerned, Supernatural ended at season 5. 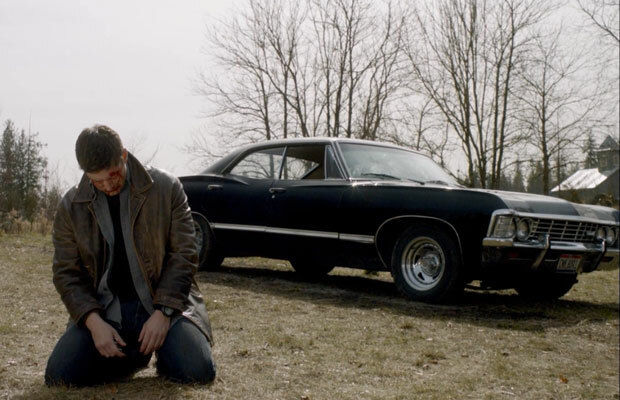 It’s never been the same for me and so I have compiled a list for the con-goers this weekend; 20 of my favourite Supernatural episodes from seasons 1 – 5 in season order. Have fun guys! Join me under the cut for more. The general premise is that Sam and Dean Winchester are brothers whose mother was killed by a demon when they were very young. As a result, their father John has kicked around America killing supernatural entities and trying to find the demon that killed his wife. He’s trained his sons in the family business; saving people, hunting things. 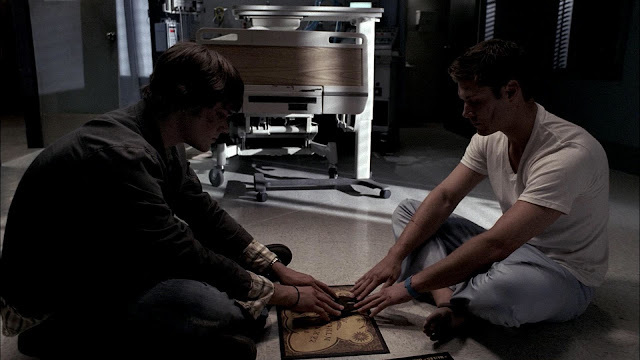 Try as they might, these two boys can’t shake their role in the supernatural and we discover just how connected they are to the end game. It’s difficult for me to choose 20 favourite episodes from five fantastic seasons; there were only a few episodes I really didn’t like. But here I go! What a fantastic start to a series! We get all the darkness of the supernatural mingled with the shows deep connection to family. 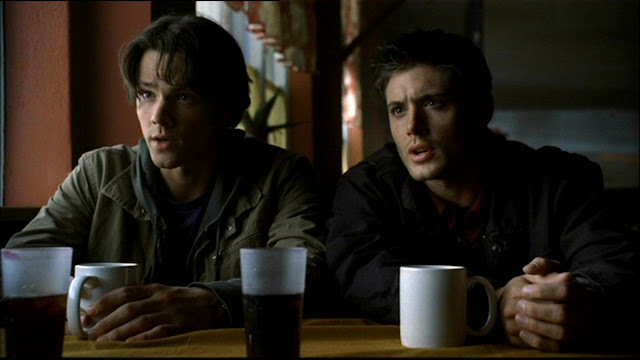 Sam and Dean’s brotherly chemistry is palpable and leaves us interested in their lives. They need to try to find their father who has gone missing and at the same time solve an eerie case involving a White Woman – a ghost with a dark death. At the end of the episode, although Sam has returned to try to live a normal life and attend law school we discover Jess dead on the ceiling; killed in the same manner as Sam’s mother. This is the first episode in which the boys travel back to their family home and we learn more about John Winchesters whereabouts. What I love about this episode is the emotion that we get to see for the first time. Dean choking up on the phone to his father, both of the boys haunted by the memory of their old house, and of course, getting to see their mother one last time as she is haunting the house. She barely speaks to them but the connection is heartfelt and immediate. I remember loving a lot about this episode. Meg was a fantastic demon villain and what has happened to her in later seasons of the show has been a real shame. The demon girl we see in Shadow is calculated and scary as hell. She puts the boys through the ringer in this episode and we see more of the dark workings of the demons. Sam and Dean are also finally reunited with their father. The show had a great way of creating half season arcs and paying off on those before the end of season finale so the story always felt like it was moving forward. 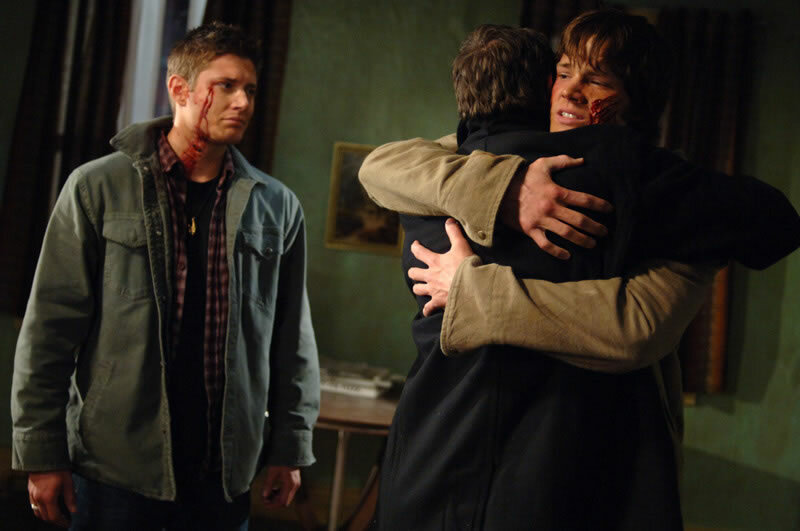 Three Winchester men, the yellow eyed demon from their past, angst, hurt and a lot of deception; there was nothing not to love about this episode. We get to see Sam and his father have it out. Dean has the perfect illusion that he had constructed of his father begin to crack. And how amazing was Jeffery Dean Morgan as John Winchester? Oh man. The episode ended with a truck smashing into the Impala and the bloodied Winchesters unconscious in the wreckage! Following the accident Dean Winchester is dying in a hospital and trying to cheat death by evading his reaper. Ultimately, his father makes a deal with the yellow eyed demon. He sells his soul to save Dean. As Dean wakes up Sam discovers his father dead on the floor. 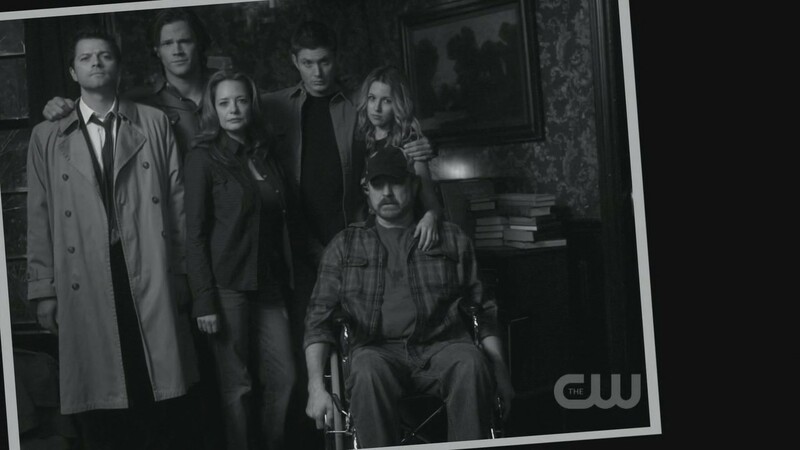 Just as we the viewers and the Winchester brothers get their father back, he is taken away. It’s a beautifully paced and acted episode. Our first taste of an evil Sammy. I remember this episode being really stunning to look at. The colours were amazing, the sequencing added to the confusion that Sam was feeling and the inclusion of Jo Harvelle worked really well. 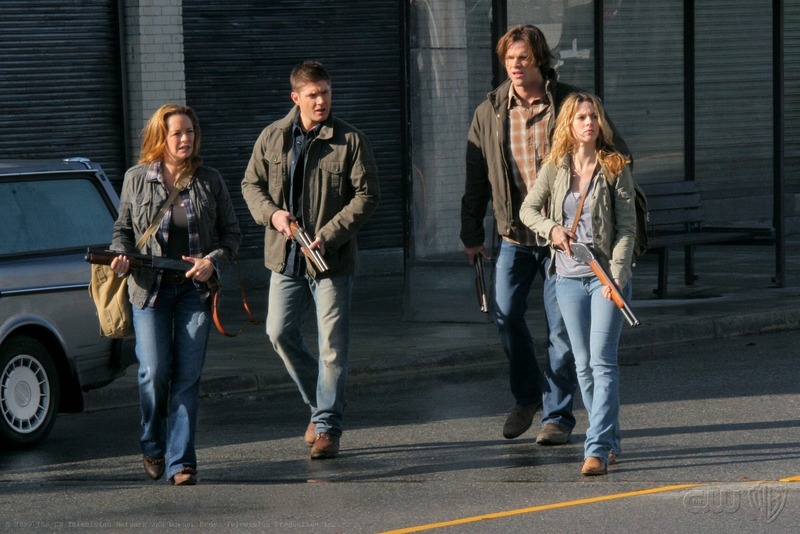 Sam is possessed by Meg and goes on a killing spree; taunting Jo about her father and shooting Dean as well. 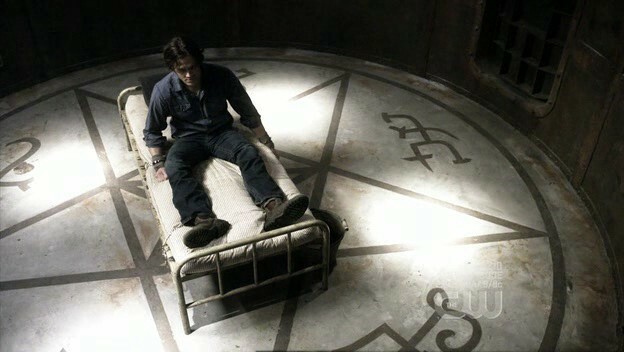 Jared Padalecki does a great job of playing Meg stuck in Sam’s body. I am sure I laughed at this episode for months. This episode sees the introduction of the recurring Trickster, a demi-god who eats sweets and causes mischief. This results in a number of sequences where Sam and Dean exaggerate their annoyance with one another and we watch it play out on screen. It’s hilarious and fantastic. Jim Beaver as Bobby starts to slip nicely into his father figure roll in this episode having to deal with Sam and Dean’s Trickster fueled antics. Dean is trapped in a fantasy world under the influence of a Djinn. In this world his mother and Jess are not dead, his father died of a heart attack and there are no supernatural entities ruining his family’s life. Dean gets to spend some quality time with his mother and it’s wonderfully emotional. He also does normal things like mowing the lawn, eating sandwiches and drinking beer. The price is that he and Sam were never close in this reality but it seems Dean can handle this as Sam is engaged to Jess. Ultimately, Dean chooses reality of course, but the story that we get to see of what he wants is touching. All the threads come together in this fantastic two-parter that sees massive reveals about Sam’s and the other chosen children’s role for the yellow eyed demon and results in Sam being killed and Dean selling his soul in order to save him. If I could pick the most important moment in the history of the Winchesters, this would be it. 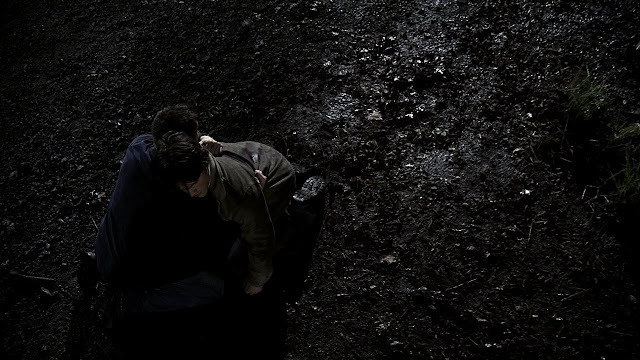 Sam discovers what the yellow eyed demons plans are for him and then he dies. If Dean had not followed in his father’s footsteps and sold his soul, the Heaven vs. Hell story would have been very different. Sam and Dean display somewhat unhealthy co dependence at times that result in them sacrificing themselves for one another in an endless loop. These two episodes are the first time this happens though and they are excellently executed, warm and heartfelt. We also get to see some of our favourite psychic children; Ava and Andy and we see the yellow eyed demon put in the ground. 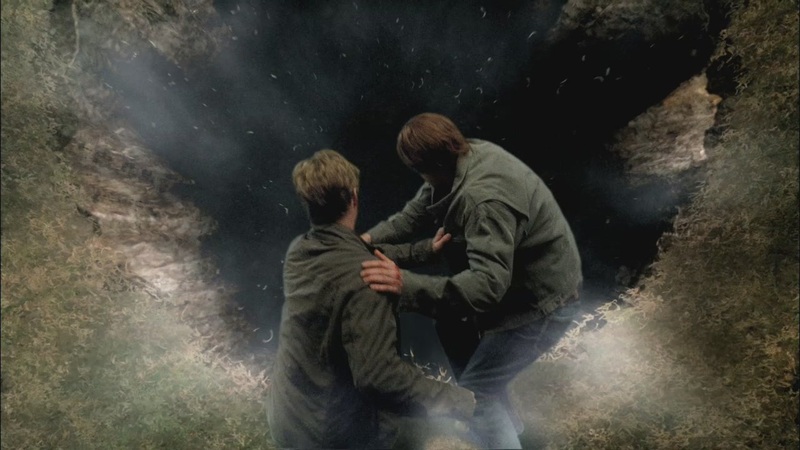 Sam and Dean also save their fathers soul from hell when he is released out of the devil's gate. I normally don’t love Ground Hog Day style episodes where a character repeats the same day on a loop. This episode is an exception. Sure, to begin with there are all the hallmark funnies of the loop episodes; characters guessing things before they happen, getting driven insane by the same song playing, getting daring in what they will attempt. The difference in this episode is that the loop repeats every time Dean dies and Sam is forced to watch it happen over and over until one day the loop doesn’t start again. Behind it all is the Trickster who is trying to make Sam and Dean see their co dependence for what it is. It’s a sad, funny and memorable episode. I love this episode. I love the impending doom and the role that Katie Cassidy’s Ruby finally plays in doing something useful and progressive in the storyline. 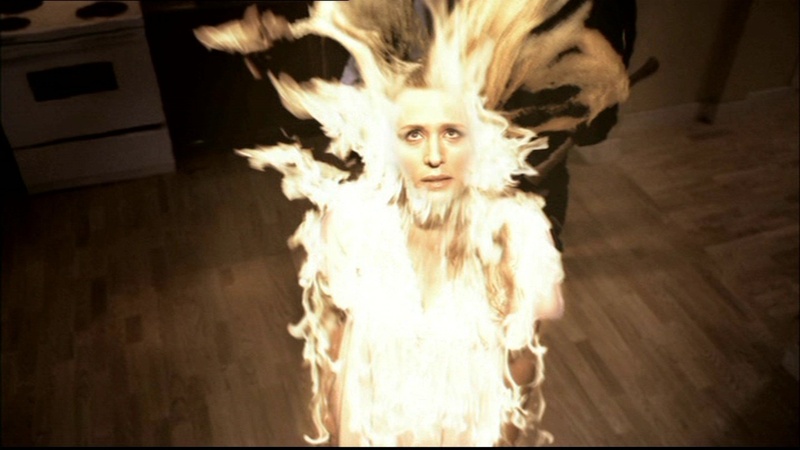 The episode features a lot of fighting, but also the introduction of Lilith with devastating consequences. Lilith was a fantastic villain for the series and her introduction as a child was creepy and perfect. I really did not expect Dean to be going to hell. I thought that at the last minute someone would find a way out for him; Ruby or Sam or Bobby or someone. 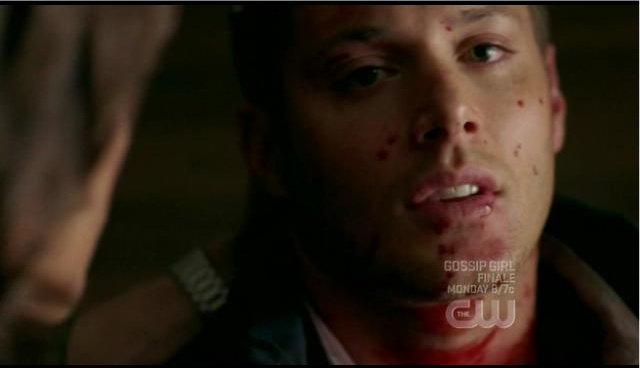 As it turned out, despite all efforts, Dean is savaged by hell hounds and killed. The last shot we see of him is strung up by meat hooks in hell. It’s terrifying. I still remember feeling sick at the end of the episode and wondering how they were going to write around this. Excellent depiction of hell too; nothing like what most people would have been expecting and still extremely unsettling. 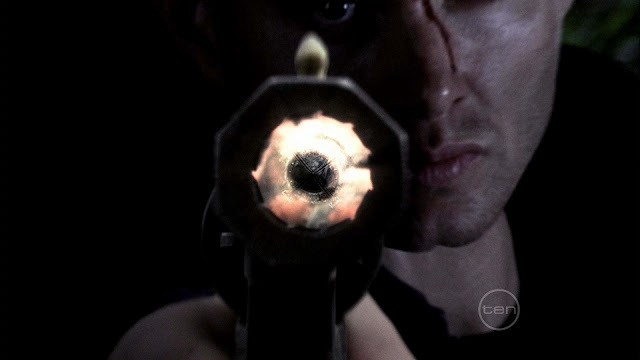 You got a real sense of the utter danger that Dean’s soul was in and his fear. Dean Winchester punching out of the earth Buffy style and wandering the streets in search of his brother; it’s an iconic beginning to a season and was the turning point in ratings for a show that until now had lived season to season on the back of petitions from fans. Dean was resurrected and reunited with Bobby and Sam. Who was he resurrected by? Castiel; an angel of the lord. The show had always skirted around saying that God or Heaven was real and this proof changed the canon of the story in a massive way. It also meant that Dean had to re-evaluate a lot of his beliefs. Castiel’s introduction is still one of my favourite scenes; lights sparking and wings expanding. It was the perfect look and feel for the foreboding angels of the series. This episode consistently breaks my heart and makes me cry. Dean discovers what he did in hell and that him breaking and torturing people was the first seal breaking in Lilith’s plan. Dean’s raw emotion and feelings of worthlessness are destroying to watch. Huge props to Christopher Heyerdahl who was playing Alistair in this episode; he gave an incredible performance that perfectly matched Jensen Ackles’. This is Sam’s moment of utter despair. Fighting the withdrawals of demon blood and feeling hopeless and abandoned. We see him struggle with his belief that Dean has and always will see him as a monster and his overwhelming desire to change this by proving himself and saving the say. We see his longing for a mother figure and get to see him interact with his mother in the way Dean did in What is and What Should Never Be. We also see the devastation and corruption that Ruby has been sowing in Sam’s subconscious. Another harrowing experience for those who love the brothers. 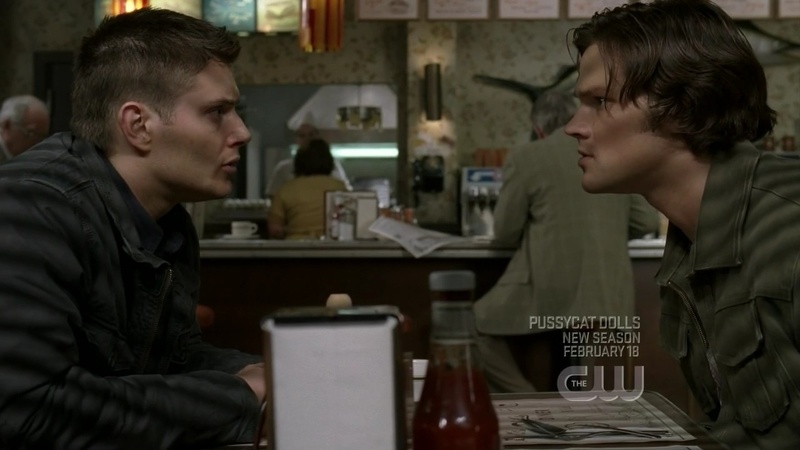 Sam and Dean, separated and on separate paths try to stop Lilith from breaking the final seal. Of course Sam has been completely deceived by Ruby and is off trying to kill Lilith which it turns out IS the final seal. The Angel’s know about this and want it to happen so that they can wage war on hell once and for all and they reveal Sam and Dean are major players in the battle. 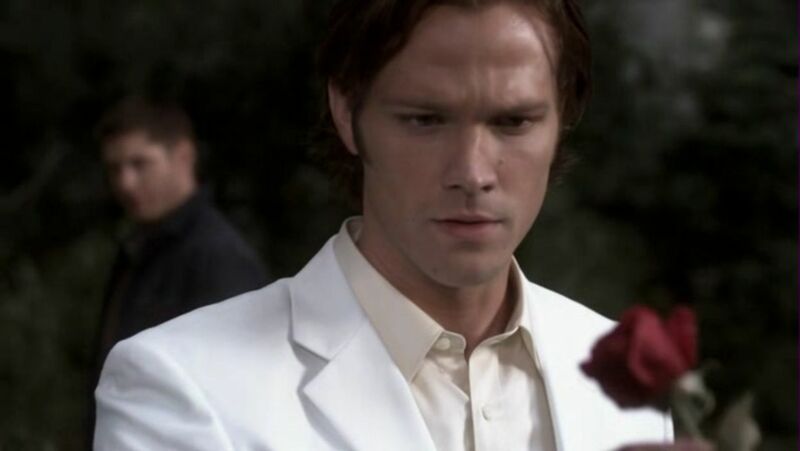 Sam being Lucifer’s vessel and Dean the angel Michael’s. Dean rushes to Sam’s aid but too late and the brothers kill Ruby but cannot stop the pit opening and Lucifer coming out. A future projected episode in which we discover what will happen if Sam said yes to Lucifer (as Lucifer believes he always will) and Dean said no to Michael. Dean believes that in saying no to Michael humanity might prevail but future Dean realises that if he had his time over he would have said yes to Michael because this outcome is much worse. Our version of Dean is not wholly convinced though, believing that the true lesson is to stop Sam from saying yes to Lucifer. It’s a beautifully scripted and produced episode with wonderful imagery and colouring. The return of the Harvelle’s Jo and Ellen and an epic showdown between team Winchester and team hell hounds. It’s a tragic and moving ending with Ellen and Jo sacrificing themselves to give Sam and Dean a chance to try the Colt on Lucifer... which doesn’t work. Jo and Ellen are amazing in this episode and I really wish they had been treated with this kind of skill from the beginning so that their time previously on the show could be more appreciated. I don’t think anyone had a dry eye when Ellen pressed that button and blew up the warehouse she and her dead daughter were sitting in. Mark Pellegrino’s Lucifer is devastatingly good as well, sucking all remaining hope of a happy ending from the Winchesters and the story. 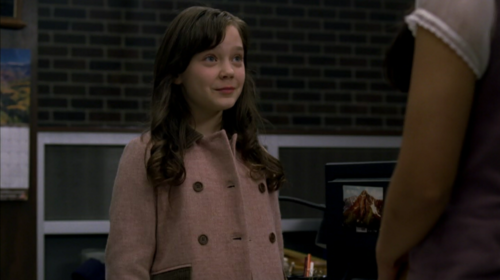 Angle Anna goes back in time to try to kill John and Mary Winchester so that their sons are never born. This is her solution to the impending apocalypse as if neither boy is alive then neither Michael nor Lucifer has a vessel. It is revealed however that Michael can take John Winchester as a vessel and that Jake, Sam and Dean’s half brother, could also be a vessel for Michael. It is unclear as to whether Lucifer has another vessel but makes Dean’s role in the prophecy more fluid. Anna is killed in this episode which was really tragic; I really liked her and didn’t like that they had made her a crazed adversary in the end. The perfect ending to the series comes in the fifth season finale that sees Sam possessed by Lucifer and Adam by Michael. 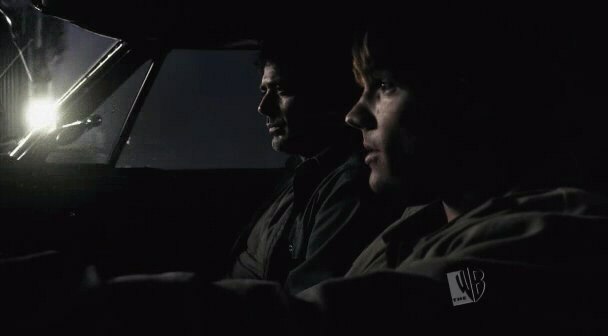 As they begin the apocalypse their older brother Dean arrives in the Impala; the car that is both the heart of the show and the history of the Winchesters and their lives together. Bobby and Castiel are killed trying to help save the say and Mark Sheppard’s magnificent Crowley makes a quick getaway before the show goes down. It comes back to Sam and Dean. Dean is being brutally hurt by Lucifer and repeatedly telling Sam that he won’t let him die alone; in that moment Sam takes control of Lucifer and sends himself and Michael plummeting into the pit which seals behind them. Dean is restored; as are Castiel and Bobby. Dean makes good on his promise to Sam to live his life and end the cycle of sacrifice by seeking out an old flame and making a go at a normal life. He is incomplete and somewhat unhappy but this is a tragedy at its heart and the outcome that one brother would end up without the other is as tragic as they come. A beautiful and moving ending to a brilliant story. Good choices, personally I look at Supernatural like Star Trek, seasons 1-5 are The Original Series and 6 onwards is like The Next Generation. Not neccessarily better or worse, just different. Although season 8 feels like a return to form. I find it hard to do that because they are supposed to be the same characters... but they just aren't. It's not a matter of growth because that was fine for 5 years, it's that they have no internal consistency anymore and it got too depressing to watch them just fade away. Hey thanks for spotting that. Jake is the name of the actor and for some reason he always strikes me as a Jake.